Coconut oil is regarded as a fantastic essential oil for dogs. It’s been used for generations as a high-quality anti-fungal and antibacterial solution to help with a variety of problems. 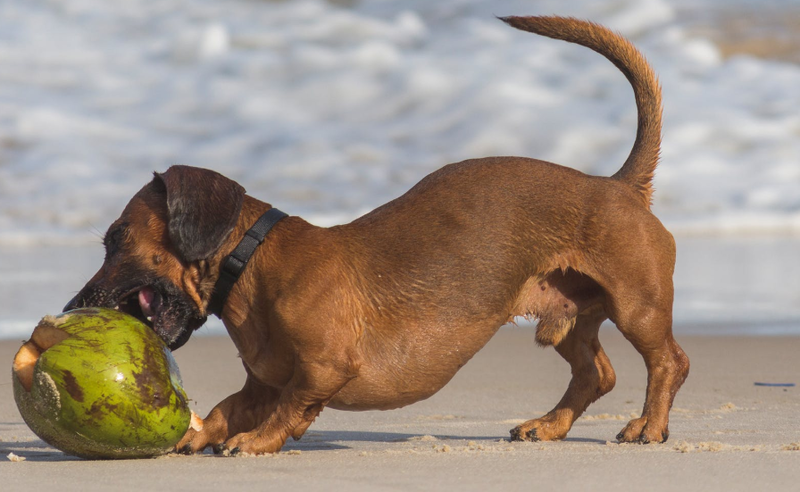 Whether it is the dog’s fur or their digestive system, coconut oil is able to provide a wide array of advantages. However, this doesn’t mean coconut oil cannot lead to mistakes and/or side effects with improper use. Here are five critical mistakes a dog owner can make when it comes to using coconut oil. The first and most common mistake involves the dosage. A lot of dog owners will assume organic coconut oil is easy-going and isn’t going to pose a health risk. However, it’s important to note, the wrong dosage can be harmful and is not going to work out if you’re inattentive. Please take the time to focus on the amount you’re using with your dog whether it’s applied on the skin or added to their diet. The best way to do this is by using smaller dosages. Start as small as you want and focus on how your dog does. To do this, don’t feel afraid to go through a normal diet for one day and see how the dog does and compare it to days where coconut oil is used. This is a good way to compare the two scenarios to see what works and what does not. Over time, you are going to hit that specific “sweet spot” where the dog’s health improves. By starting with smaller doses, you are going to eliminate the risk of ruining the dog’s health and having to run to the vet. To make sure you are on the right path, don’t be afraid to consult with a specialist! This is a mistake that’s seen in many scenarios where the dog falls ill.
Just like any other solution, if it isn’t pure, you are going to be putting the dog at risk. This is not something to take lightly as many companies work in the gray area when it comes to their essential oils. This means they use a variety of additives that can harm the dog and leave it in a worse state. Therefore, it is your responsibility to find reliable brands that are 100% organic with years of dedicated testing. Otherwise, you are going to be in trouble if things end up going wrong. Just because you are using coconut oil doesn’t mean it’s okay to take your eye off the dog’s health. It’s still important to look at how they’re doing, what the coconut oil brings to their life and whether it’s a good option or not. All of these details are in your hands and it is never a bad idea to keep track of these details in a small notepad. This will ensure you are not left in a bad spot where the dog suddenly falls ill. If you are going to be applying coconut oil to the dog’s fur, it’s important to use a dry towel to rub off some of the excesses. Otherwise, it is going to get all over the furniture, carpet, and in places, you don’t want it to be. This is a small part of the process and is going to go a long way in saving time later on when you’re cleaning the property! Don’t forget to do this or you are going to regret it for days to come. The final mistake is to lazily employ the use of coconut oil in the dog’s routine. This means one day you are going to use it and the other you’re not. This isn’t good for the dog’s health and isn’t good for the oil’s ability to work. You have to stay consistent and make sure it gets the opportunity to work as it is supposed to. Dog owners that take the time to be consistent are the ones that are rewarded in the long-term. Don’t make this mistake and get on top of things as soon as possible! Please take the time to write down a checklist and understand what your dog needs before starting. Using coconut oil is beneficial with a wonderful list of benefits but it has to be implemented with the right approach. Otherwise, it can do a lot of harm and that’s never good for your dog’s health. As you go through these mistakes, it’ll become easier to manage the situation and get more out of it for your dog’s needs. Remember, start slowly and make sure to track how your dog is doing throughout the day.